Salvatore Sirigu - GK - OVR 82 There were only a few keepers which stood out this week with one of those being Sirigu. The Torino stopper kept his side in the match with a total of seven saves in their 1-1 draw. He picked up Gazzetta's MOTM with a 7.5 from doing so which should be enough for his SIF under the circumstances. Filip Kostic - LWB - OVR 77 We start the defenders off with a controversial positional decision but with Kostic's previous IF coming under an LWB I expect the same to occur here. Either way, I believe he will feature after scoring twice for Frankfurt in 3-0 win over struggling Stuttgart. 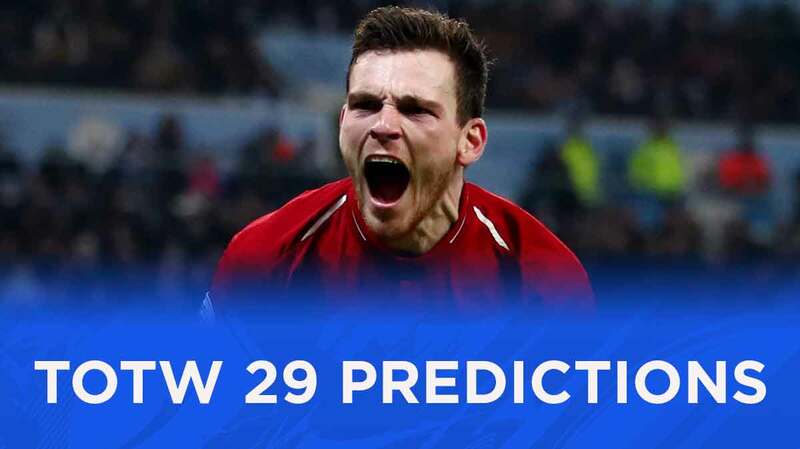 Andrew Robertson - LB - OVR 83 Liverpool almost slipped up to Tottenham in a match which many saw as a chance for City to finally get a lead formed in the Premier League. Thanks to a late Alderweireld own goal it allowed Liverpool to come away with a 2-1 win though. Robertson claimed MOTM after providing the assist on the first Liverpool goal and with it being such a big game I can see that going in the Scottish defender's favour. Patrick Van Aanholt - LB - OVR 75 Surprisingly this would be the first IF PVA has received should it occur on Wednesday, which considering his constant threat going forward is not something you would expect. He gets the nod from me this week after scoring the second Palace goal in their 2-0 home win over Huddersfield. Bernardo Silva - RW - OVR 84 Not many players from the Premier League stood out when it came to TOTW selecting this week and thus I have to take a couple of punts. One of those punts is Bernardo Silva, Aguero was the official MOTM but with a goal and assist to his name Silva is also a viable option here. Thomas Partey - CM - OVR 82 Travelling away to Aalves this season is not an easy task, with the home side currently sitting in 5th position. Atletico made it look like one though, coming away with a comfortable 4-0 win. 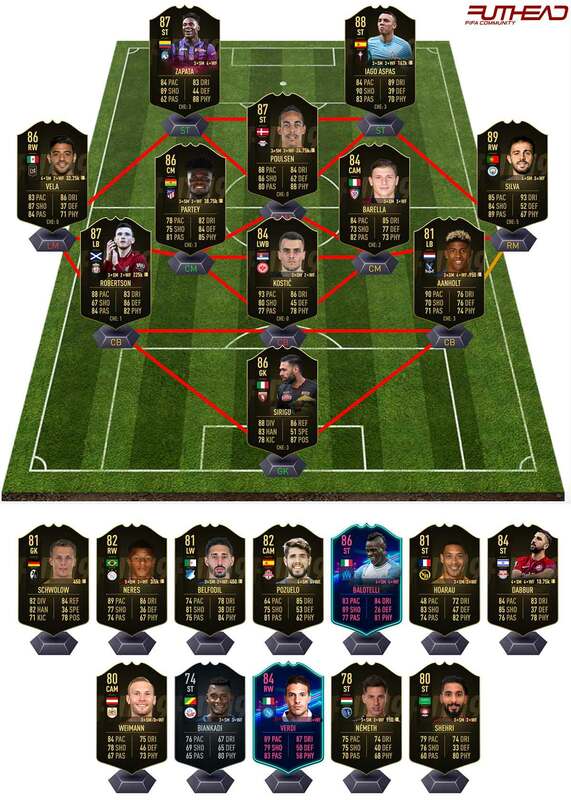 All four goals had different scorers making it difficult when it comes to TOTW selections but with Partey being the only player to receive three stars from MARCA, I have to opt for him. Nicolo Barella - CM - OVR 76 I'm not going to pretend like I know why but with Barella picking up an 8 from Gazzetta in Cagliari's 3-0 away win over Chievo he stands a chance of sneaking into EA's side. We saw a similar case with Ekdal a couple of weeks ago. What I do know is there is significant hype around the young Italian, who alongside Kean looks set to be the future of Italian football. Carlos Vela - RW - OVR 81 With all the additional item types this season the MLS is actually a viable division for your FUT sides. With an inevitable SIF Vela on the way that RW spot further improves! The Mexican scored three goals and assisted another as Los Angeles won 5-0 away at San Jose. Yussuf Poulsen - ST - OVR 79 Leipzig always seen to bring the best out of their strikers, everyone was aware of Werner before the start of the season but Poulsen is another who has thrived throughout under their style of play. The Danish striker added yet another three goals to his tally this weekend, during a 5-0 win over Hertha, claiming player of the week for doing so. Duvan Zapata - ST - OVR 79 From one "overperforming" striker to another. Zapata has been scoring for fun in an Atalanta shirt this season and another two were added to his tally while playing away at Parma on Sunday. With a headliner item to his name as well now I can't see him being ignored, especially after picking up an 8/10 from Gazzetta. Iago Aspas - ST - OVR 85 It has been a while since we have seen an Aspas IF and this could be pushing it after only two goals but with limited players picking up the three-star rating from Marca, Aspas does stand out for that. Celta Vigo went on to beat Villarreal 3-2, with Aspas playing a big part in that. Alexander Schwolow - GK - OVR 77 Munich ended up dropping two points this week, allowing Dortmund to go clear at the top by two points. Schwolow is the man they have to thank for that after he was outstanding between the sticks for Freiburg in their 1-1 draw with the German champions. In total, he made seven saves and although he didn't keep a clean sheet I still believe it will be enough for him to make the cut. Ishak Belfodil - LW - OVR 76 Hoffenheim dented Leverkusen's European hopes with a convincing 4-1 home win. Belfodil, a player which has been snubbed on numerous occasions previous to this one was the stand out performer, with the Algerian claiming MOTM after scoring twice and assisting another from LW. Pozuelo - CAM - OVR 79 A new addition to the Toronto ranks saw Pozuelo join from Genk, after a long debate surrounding the release clause between the two clubs. The Spaniard made an instant impact to his new side, scoring twice and assisting another in a 4-0 win for Toronto. David Neres - RW - OVR 79 There were a couple of hat tricks in the Dutch league but neither of those players ended up picking up POTW. Instead, that accolade went the way of Neres who scored once and won a penalty in the biggest game of the Dutch calendar, with Ajax winning 3-1 at home to PSV. Mario Balotelli - ST - OVR 83 Ligue 1 was by far the quietest of the main leagues this week and I could have easily ignored the division. Realistically that won't be the case though and thus I have forced Balotelli into the side. The Italian forward scored twice in a 2-2 draw for Marseille, with the additional factor of his OTW item in place I think that he is the best option. Guillaume Hoarau - ST - OVR 77 Young Boys have literally walked the Swiss division this season, currently sitting 21 points ahead of second-placed Basel. This particular match was less than easy though with them falling behind twice to St Gallen. Hoarau was the eventual hero though scoring all three of Young Boys goals as they went on to win 3-2. 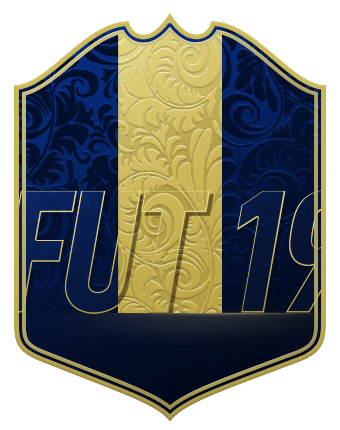 Munas Dabbur - ST - OVR 76 I am not 100% that this game will count towards TOTW with championship playoff matches being rather inconsistent when it comes to the selection process from EA. That being said after Dabbur managed to score four goals in Salzburg's 5-1 win it's just a selection I can't ignore regardless. Andreas Weimann - CAM - OVR 71 Sheffield United came into their home fixture with Bristol City as favourites and after taking the lead twice you would expect that they went on to win but City and particularly Weimann had other ideas, stealing the result 3-2 with the Austrian scoring all three of their goals. Merveille Biankadi - ST - OVR 64 There was no shortage of bronze and silver hat tricks this week and thus for a bronze to get in could be pushing it. That being said with a kicker player of the week award to his name, alongside his three goals, Biankadi becomes difficult to ignore. Simone Verdi - LM - OVR 81 Should you have done the weekly objective for Verdi in the early weeks of FIFA you could finally be due an upgrade after Verdi contributed with a goal and an assist in Napoli's 4-1 win over Roma. However, I almost ignored this match so it's far from a certainty but with it being a big match I can see EA giving Verdi the upgrade on the first chance they have had. Krisztian Nemeth - ST - OVR 68 The MLS is not a division which often sees multiple IF's in one week, so with this being my third predicted player from the division this week it is a bit of a push but with Kansas winning 7-1 I can't see the match being ignored. Especially when you consider that Nemeth scored a hat trick in the said game. Saleh Al Sherhri - ST - OVR 62 A ridiculous amount of players managed to score three goals this week and thus it becomes difficult to decide between them. Al Sherhri stands out for a couple of reasons though, firstly the hat trick comes from a 5-4 win, making the game stand out but most importantly he ended up scoring a fourth goal.